Coins seem to be of small worth when compared to paper bills. But actually, coins are real winners in the long run. The older they are, the pricier they get. That’s because coins are made of longer-lasting materials when compared to paper bills. Coins can endure the test of elements and time that’s why you can find coins that are up to a hundred years old or more. You’re even luckier if you find coins that are made of rare and precious metals like pure silver or gold. Given the value and appeal of old coins, people have started to dig and search everywhere for these rare items. It’s a real treasure hunt to say the least but it’s no simple task. Searching for old coins isn’t really about “X marks the spot” or following some sort of treasure map. Treasure hunters take their work seriously as well and it requires some scientific thinking, inquisitive skills, common sense, and modern technology like Google Maps and metal detectors. It’s like shooting aimlessly hoping to hit the bullseye. Unfortunately, time is limited and so are resources, so finding a target area matters a lot. It would be good to start in your own community and start from there. In order to get yourself organized, some treasure hunters loosely follow these steps in planning. "Searching for old coins isn’t really about 'X ﻿marks ﻿the spot' or following some sort of treasure map." This plays a crucial role in identifying a treasure hunt site. And by research, this means utilizing various tools and methods in order to zoom into a specific location. This includes conducting interviews with locals, especially old people who have stayed long enough in the community. Going to library archives and looking for old maps and photos would also give you additional information. Finally, utilize the power of the internet and use Google Maps to close in on potential sites for metal detecting. Once you’ve gathered enough information, check which landmarks or places have existed for quite some time now. If you’re targeting for some really old coins, then you have to find a place that existed around that time period as well. For example, it is likely to find circa 1800 coins in a spot that has existed since the 1800s. Sometimes, new buildings or landmarks are built on old soil, so that is something to consider as well. Sometimes, being aware of urban renewal activities and repairs can help you with your treasure hunt. This is because soil is being dug up and unexpected stuff turn up. The loose soil from dredging activities or road repairs can expose things that have been under the ground for a long time so it’s a great opportunity to take your metal detector and go over the loose soil while it’s exposed. Remember that you’re in search for coins. And coins are most abundant in places where they are used the most. Gathering places and sites of economic activity can be potential areas for hunting coins as loose change could’ve easily fallen on the ground. Aside from popular spots, consider historical sites or places mentioned in old stories or rumors. For example, if a 1909 newspaper mentioned that a burglar was rumored to have thrown his loot in the river, then the river can be a potential spot. When selecting a potential site, remember that going for the most convenient and nice-looking places will not yield you old coins. Sometimes, you need to look into abandoned places, old creepy sites, and filthy and neglected areas of your community. These were places rich with history figuratively and literally. There’s also a high chance of finding a lot of trash and junk along the way but just remember that it’s part of the treasure hunt! Following the steps on narrowing down your location, it is now crucial to determine which places to pick. The range of areas can vary a lot especially when hunting for old coins. Aside from it being a public place, it has a wide, flat, grassy surface where you can easily swing your metal detector. These are also places where a lot of gatherings happen so finding some old coins won’t be impossible. Observe what places in the park most people pass through or gather and try to search there. Some treasure hunters have also found some success near old trees and park playgrounds. Old houses are the most typical sites for treasure hunting. They can indeed be quite scary especially when they’re abandoned. But creepiness aside, the prospect of finding old coins is high especially if the houses have existed for a really long time. Searching the surrounding lot or under floorboards are some of the places to start looking. Some families, during the Great Depression, have kept their money either under postholes or in outhouses. Those are also potential places to search for. Churches are considered to be one of the oldest structures in any town. It’s also a popular gathering place where alms and loose change can get lost on the ground. Some old rumors also claim that churches have been places where old treasures have been kept or buried. Another place of gathering to look at are old schools and school yards. Aside from the children constantly filling in the halls and grounds, coins are also potentially abound in the area. New and old coins easily find themselves on the ground as children go out to play. Remember those days when you used coins to play with your friends? And for sure, you’ve also lost a nickel or a dime when you were young right? So think of how many children have done the same in one school and the potential of finding old coins will go up. Sometimes when disasters happen, like floods, precious belongings and small items get lost or washed away. If your area has a river, lake, or river nearby, these would be great places to start looking. Coins and other heavy materials like gold tend to settle on nearby riverbanks or shorelines. Panning your metal detector in these areas can yield you some interesting discoveries including bottle caps and gold rings. It’s a pretty common place to search for old coins but that’s actually the advantage. Sidewalks are so common that coins find their way to the canal underneath or on the grassy patches on the side. Especially for old sidewalks, it’s not impossible to find a couple of coins that have been buried over time. Usually coins fall off from purses or pockets of passers-by and are often left unnoticed. "In determining your location, make sure you select the one with a rich history and was once a place of convergence or economic activity. Places you wouldn't suspect can also be great spots to search for old coins." Sometimes, the most mundane of places is where you can find some real treasure. This is where additional research will come into play. Searching for old landmarks isn’t enough. Cities and towns are already evolutions of what these places were before. If you step back in time further (with the help of old maps), you might realize that an intersection now used to be a battlefield before. Or a vacant lot now used to be a robbers’ ambush site before. These historical clues will give enough insight in what you could find. These are just some of the most popular places visited by treasure hunters with metal detectors. Doing additional research will greatly help you pick additional locations. Some areas may have old towns or ghost towns. Those are great places to do some searching. Football and baseball fields are also potential locations especially if there are grassy areas with bleachers above. Just imagine how many coins fall from the pockets of sports fans. So before you head out treasure hunting with your metal detector, make sure you get to read these tips so you can maximize your treasure hunt experience. 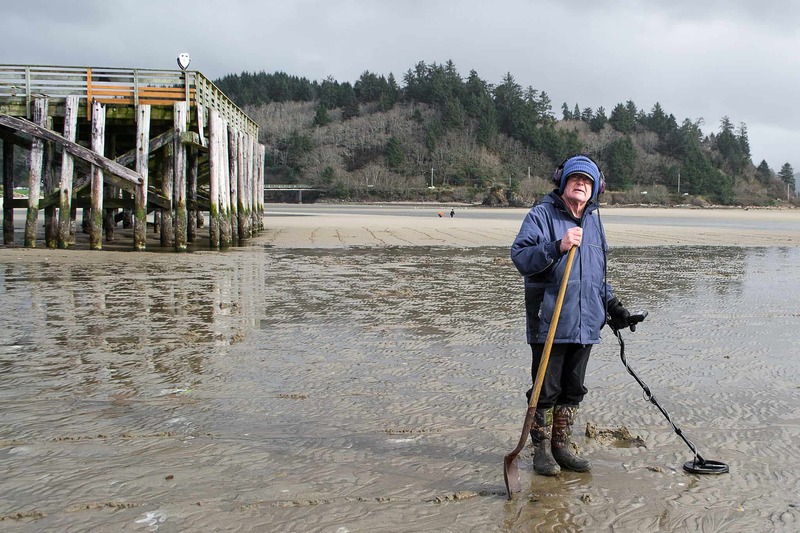 The first thing you need to prepare is your own mastery of using the metal detector. There are a ton of metal detectors out there and it is important that you know how to operate your own. Always check for the device’s sensitivity, discrimination, and depth. Sensitivity is how easily your device will detect for metal or gold. Discrimination helps filter out undesired materials but if it’s too high, you might miss out on some great finds. Depth is how deep your detector will penetrate the ground in search for metal. Know how to adjust these settings accordingly so you can target more accurately. It’s hard to search for something you really don’t know, right? If you are still unfamiliar with old coins, now is the time to do your research. There are websites that can help you identify old US coins and how much they cost. You are most likely to stumble upon pennies, nickels, dimes, and quarters. The smallest denomination is the half-cent while the largest is 20 dollars. You might also even stumble upon gold dollars if you are lucky enough. The rarest non-gold US coin is priced for up to 30,000 dollars while gold coins can fetch up to 50,000 dollars. Always determine if the location you have chosen is public or private property. It would be helpful to know this information beforehand so you can prepare requests of permission if needed or have a verbal permission from the lot owner. Also, ask if you can conduct some digging activities on the site and how to pack up after the treasure hunt. Even if you are conducting your activity on public land, if the adjacent property is private, be courteous enough to inform the owner of your activity as well. Remember that not everything you’ll find will be nice and awesome. Most of the time, you’ll end up finding junk items or weird finds. If you keep finding useless things, stay on and don’t give up! That’s part of the experience as you are unearthing a lot of history buried underneath the soil. Just hope that you won’t end up finding old skeletons! Hunting for old coins need not be a dead serious job. Some people consider this as a hobby and a way to do leisurely things. It can sometimes be challenging especially in public places where a lot of people gather. 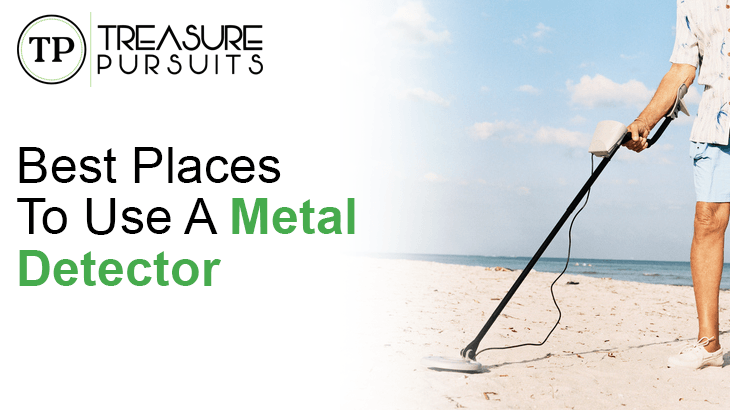 Your metal detector can actually gather attention so be ready to engage in a conversation with strangers. If you want to evade the crowd, do your activity during the early morning or at sunset. Also do not forget to bring water and a bag to store your finds. By doing your research and knowing some history, you can pinpoint some key locations. In determining your location, make sure you select the one with a rich history and was once a place of convergence or economic activity. Places you wouldn't suspect can also be great spots to search for old coins. Lastly, understand your metal detector well, check your permissions, and get some background on the coins you are searching for. If you are able to follow these steps and plan specifically for your treasure hunt, you’ll have an easier time targeting for the old coins you’re looking for. So if you’re all set, don’t just sit there! Go ahead and start your hunt for old coins today!